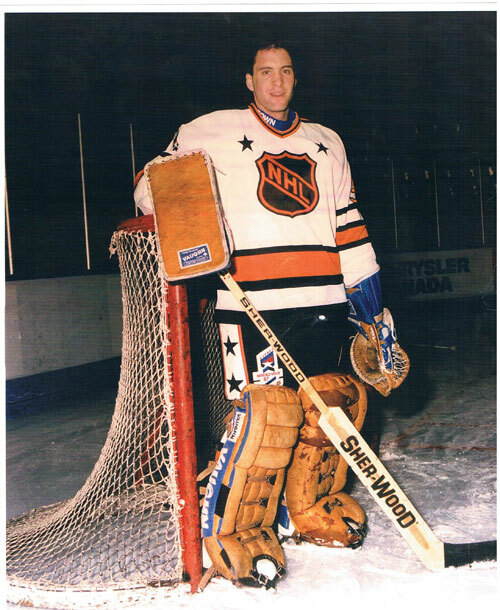 Clint Malarchuk, the 1986-87 Rendez-Vous All-Star. Clint Malarchuk, the former NHL goaltender best known for suffering a gruesome skate-slash-to-the-neck injury in his playing days, recently attended the Rendezvous With Madness Film Festival to promote his new book The Crazy Game a showing of his ESPN 30 For 30 doc, Cutthroat. Throughout his playing days and into retirement Malarchuk dealt with obsessive-compulsive disorder, anxiety, depression, alcoholism and an undiagnosed post-traumatic stress disorder. The weight of these illnesses eventually led to a suicide attempt. It didn’t succeed. And after a lengthy rehab Malarchuk has emerged to tell his story. I spoke with him about it for Samaritan Mag.